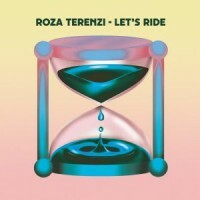 Australian producer Roza Terenzi continues to remain a crucial force, releasing some tracks for taste-making camp Dekmantel. Continuing with her distinctive brand of space-age breakbeat, with nods to rave's past and dancefloor's future, we get the now-standard four track package which ably and confidently strides across various moments in the session with a unique flair and rock solid construction. Terenzi's productions recreate sonically, what you can only really achieve physically by smashing in some high grade MDMA. Her tracks are woozy yet direct, dreamy yet focused; the the perfect remedy for minds and bodies soaked in euphoria.